What is “credit by exam,” such as CLEP, DSST, and AP? It represents a test one can take and earn college credits at participating universities. 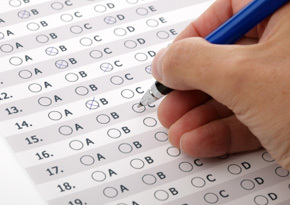 Some examinations can be taken at any age, while others have some age limitations. Here’s why credit by exam should be the focus on a high school? Reduce College debt – This is the #1 reason we are concentrating on getting college credit without taking college classes! If we can pay $100 per examination, each being worth either three or six credits, it significantly reduces down the cost of a university education. Pose a challenge – Since an honor student generally has done quite well in school, she is used to placing in 50% effort. This is a risky habit to pick up and giving her the task of passing a college level examination helps her step up her game. Reduce the period of time in college – The earlier he or she can get started in “real life,” the more experience he or she can have as he or she gets to her primary adulthood. As a 30 year old, he or she could have ten years experience in a given field rather than six or eight. Decreasing the period of time in college also decreases some of the contact with the insane college lifestyle, in which many teenagers leave their principles for what seems fun and interesting in the moment. Take a course once – There are many programs that a student would rather not do, such as Literature. Some students dislike literature with a passion and it’s definitely the topic in which they nag the most about things getting done. Now, does the student want to do literature once in high school, or have to do it again in college? If the student passes the examination, then he or she will not have to finish that same course in college. It’s a win-win situation!